Deadline was the first to report on Clooney’s next possible directing gig. Joel Silver will produce. According to the site, “it’s a noir drama in the vein of the Coens’ breakout film Blood Simple, with this one being a small crime drama set in the 1950s.” Blood Simple first hit the film festival circuit back in 1984, and centers on a jealous saloon owner hires a cheap divorce detective to kill the saloon owner’s younger wife and her bartender lover. However, a double-cross and a botched murder happens, causing the whole plan to spiral out of control. Well it sounds like a dark comedy, which isn’t at all surprising considering that it is in the Coen Brothers’ wheelhouse, adding that it is also a 1950s crime noir, and we are really going to be getting something special. This wouldn’t be the first time that Clooney has sat in the director’s chair. He’s had five major directorial efforts, which includes films like Confessions Of A Dangerous Mind, Good Night And Good Luck, Leatherheads, The Ides Of March, and most recently The Monuments Men. So as you can see, Clooney as a director has produced mixed results. However, seeing that Clooney has appeared in at least four Coen Brothers films, he should know his way around a script that they have written. 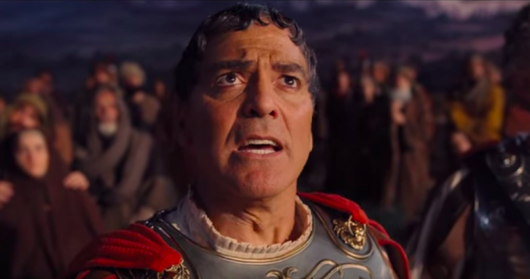 No word yet on when the film will be coming out, but we can watch the actor appear in another Coen Brothers’ film, Hail, Caesar!, which hits theaters early next year. We’ll keep you posted on any developments surrounding the film.